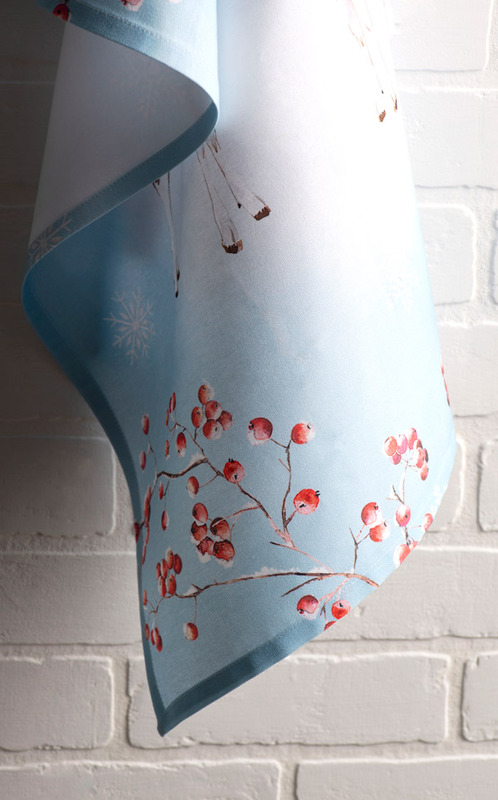 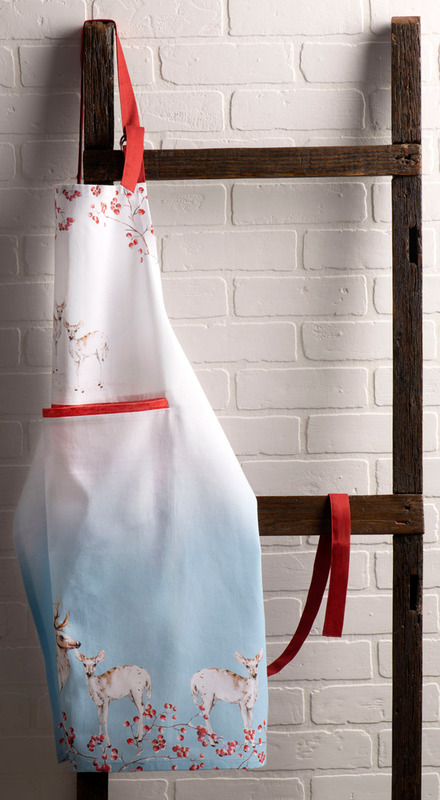 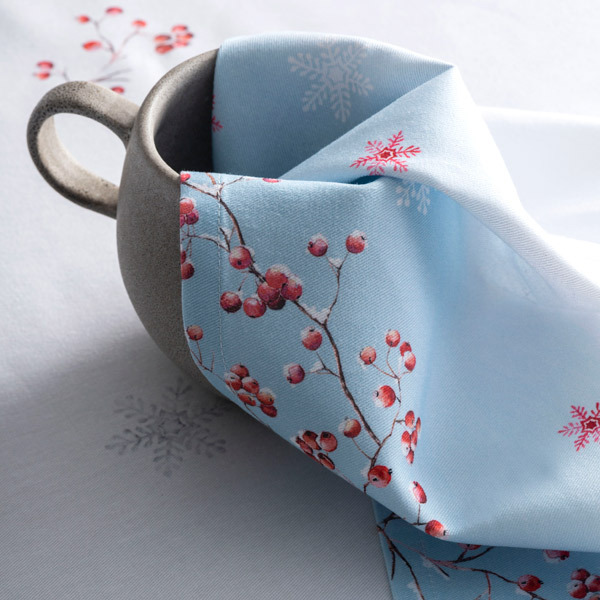 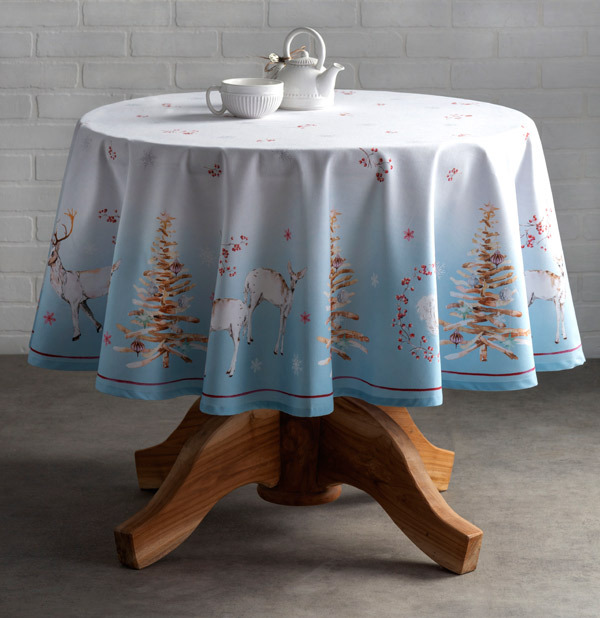 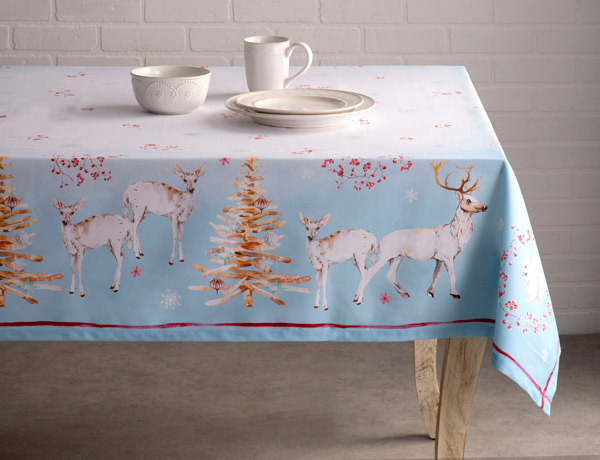 Celebrate the spirit of the season with a wonderful collection of kitchen and table linen inspired by a scene from a snow-laden pine forest where several reindeers are gathered. 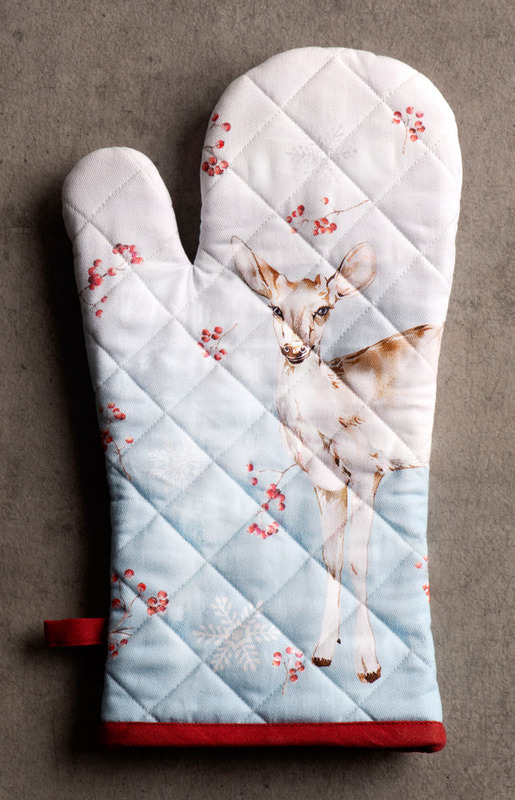 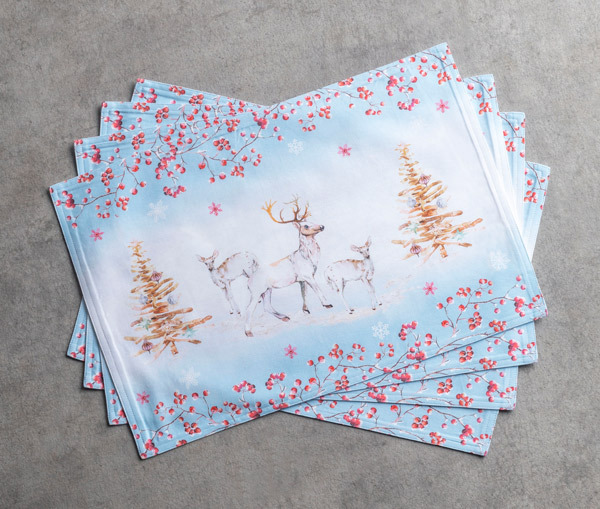 On these products, magical Christmas themed artwork depicts curious reindeer looking on as they go around grazing the low bushes and digging deep in snow in search of food. 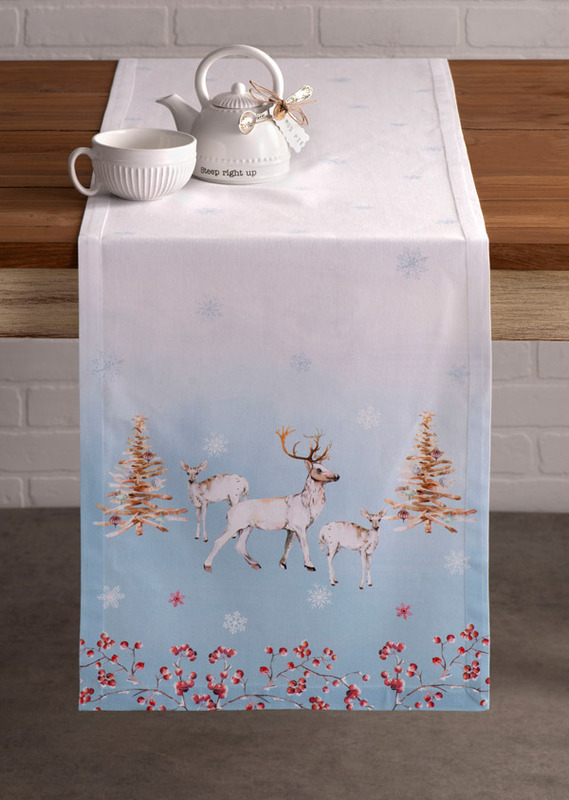 Decorated in eye-catching colors to give this a holiday-inspired theme. 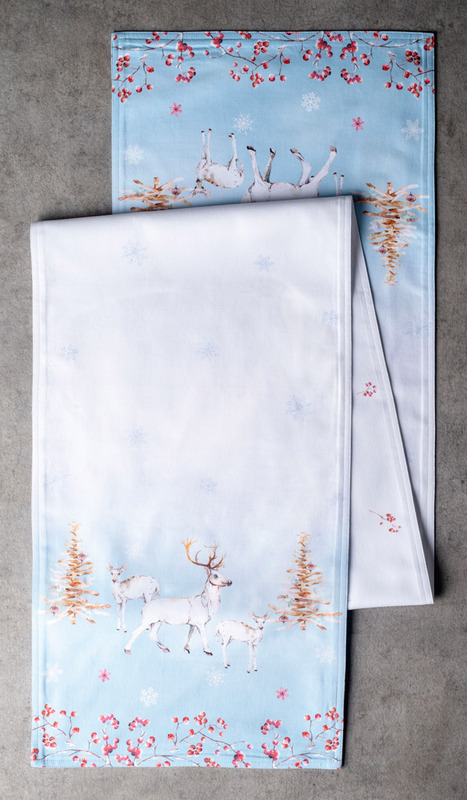 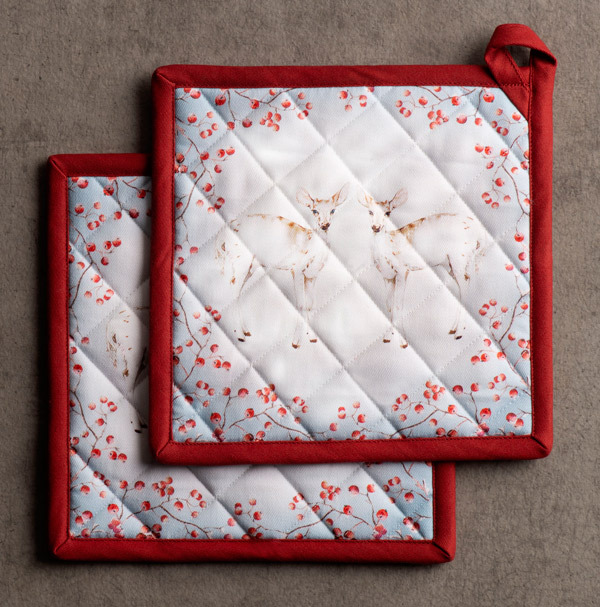 Decorated with beautiful borders, the kitchen and table linen make great gifts for Christmas and would be one of the few talking points of the coming holiday celebration.